Knights of Creativity Spirit & Ale: Turkey and Beer! 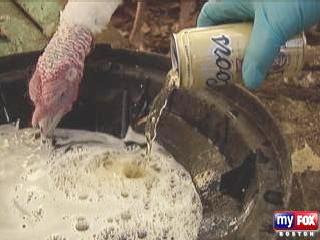 The owner of a 300-turkey farm in New Hampshire, USA, is using 50 to 60 cans of beer a day to fatten the birds before Thanksgiving. "The turkeys, as well as other animals, like beer," says owner Joe Morette. "I'm one of them." He goes through between 50 to 60 cans a day for the nearly 300 birds on his farm. "It slows them down a little. They're enjoying their life," says Morette.